School pictures have such a cheesy, old-school feel and I just love them. 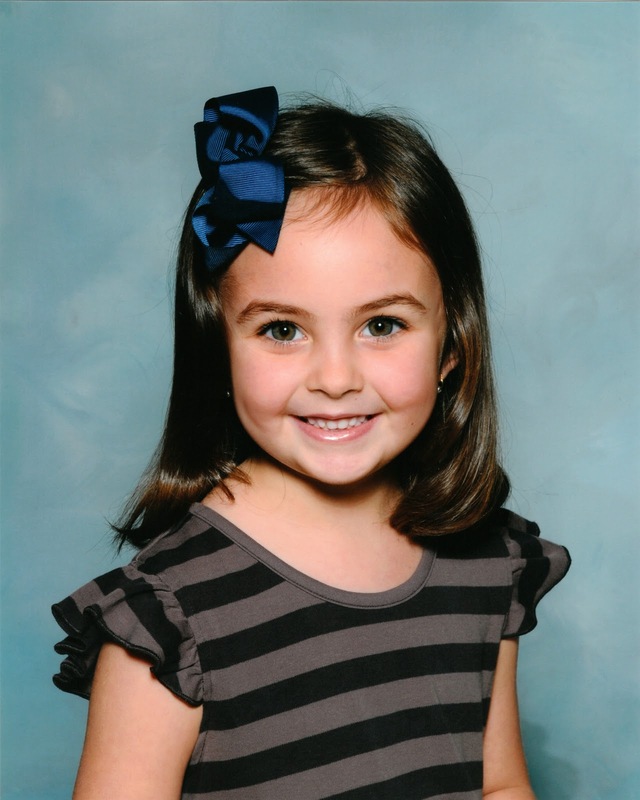 Here is Leila's school picture this year. I'm kind of dying over the cuteness! don't know what it is about school pictures either, but i love them too! Seriously this is beyond cute and one of the best school pictures I've ever seen. Gosh I remember when you had your school pictures at her age. No one I know has a school picture that looks this good! your little girl is gorgeous!! :) so cute! She's just so stinkin cute!!! Why is that child not in pottery barn catalogs??? ?